Since breaking out against La Salle, Tramaine Isabell has been the scorer that Billikens fans expected they were getting from Drexel, and probably even exceeded them. Leading SLU’s late season resurgance, and incredible A-10 Championship run, Isabell averaged 20.8 points a game in his last 10 games, breaking down defenses with slick dribble moves, acrobatic finishes and daring three-pointers. He hasn’t just scored, he’s scored with so much style it’s impossible to keep your eyes off him. Isabell’s offense will likely be a major part of the Billikens’ success if they are to beat Virginia Tech for the second time in two years. The impact of having a go-to scorer and elite shot creator can not be underestimated for an offense like SLU’s, which can be subject to bouts of impotence and stagnation. Isabell isn’t just a scorer, he’s one capable of ripping off one-man runs that singlehandedly bring SLU back in the game. He’s a corrective for the scoring droughts that the Bills have been so susceptible to all year. Isabell’s penetration doesn’t just result in scoring either. His distribution and decision making has really improved these past ten games too. Isabell’s drives break down the defense and demand a lot of attention, and he’s been adept at distributing the ball to his teammates. He’s particuarly good at finding Hasahn French on the short baseline for a powerful dunk, a sequence that felt like it happened at least once a game in Brooklyn. He’s also found shooters in the corner frequently. Isabell’s ability to get the defense scrambling makes it easier for the rest of the team to make plays. Javon Bess has been hobbled by his injury, but he’s been able to attack closeouts and get good mid-range looks. As mentioned, French has benefited from Isabell’s slick dimes. Maybe most importantly, it makes it much harder for the defense to account for Jordan Goodwin on the offensive boards. Even while Goodwin and Isabell were struggling figuring each other out, they always insisted they were extremely close off the court. That closeness has begun to pay off, as Isabell and Goodwin have been a lethal backcourt combination of late. Isabell’s finesse game has contrasted nicely with Goodwin’s power game, giving us explosive offensive performances from Isabell, as Goodwin has feasted on the boards. Even when Isabell wasn’t as effective in the A-10 Championship game, Goodwin was there with 16 points and 14 boards. 2 of the most talented guards in the A-10 have finally learned to play together and they will be extremely dangerous in San Jose. Travis Ford told Isabell that it would take until mid-February for him to reach his full potential at SLU. 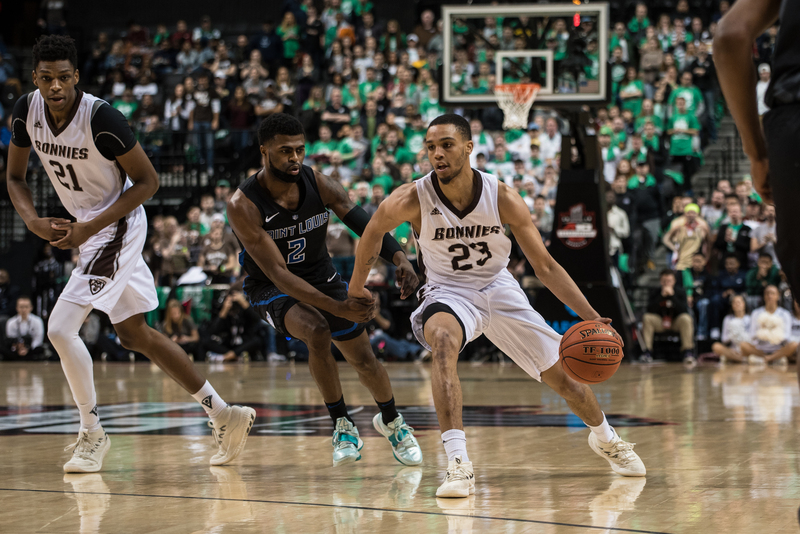 Those words proved prophetic and now Isabell’s emergence has unlocked new dimensions to the Billikens’ offense, and has driven Tramaine Isabell to his first NCAA Tournament in his 5 years of college. And that’s a beautiful thing.